On April 23, 2018, we were in the process of packing up our home as our family was moving back to Vancouver. We had not wanted to move to Toronto four years prior, but I had really grown to love the city and it’s community. We turned on the radio that day to learn that a deranged man had driven a van down Yonge Street in Toronto, intentionally killing 10 and injuring 16 people. Saddened by the hate that had been brought to our city by this event, I knew that she had to give a parting gift to Toronto to thank them for being good to me, and to help them heal from this awful event. 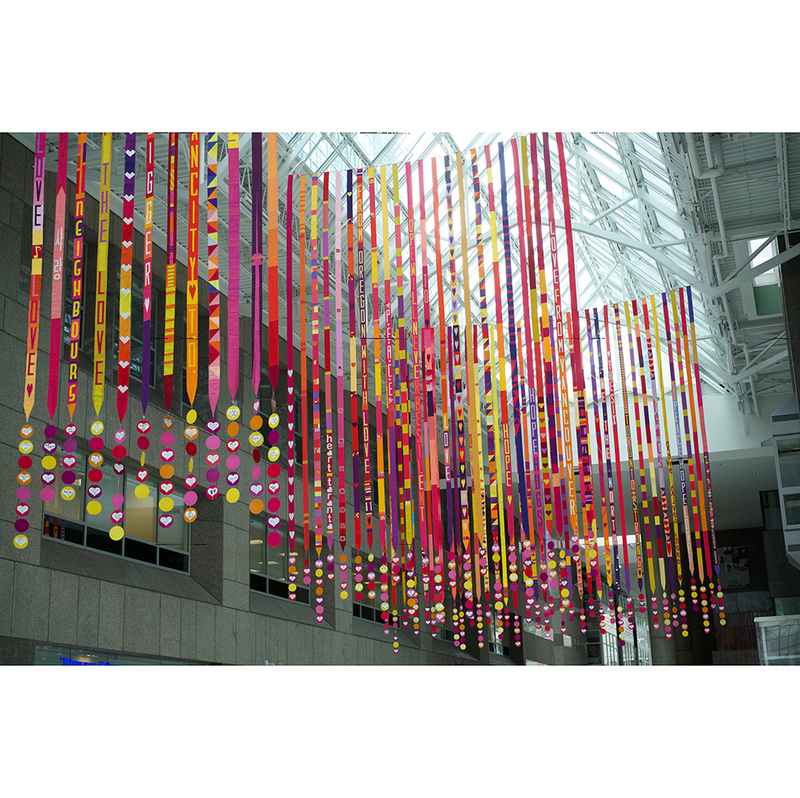 I reached out to North York Arts, a local arts organization, and asked for their help in planning a project similar to “To Boston with Love”. 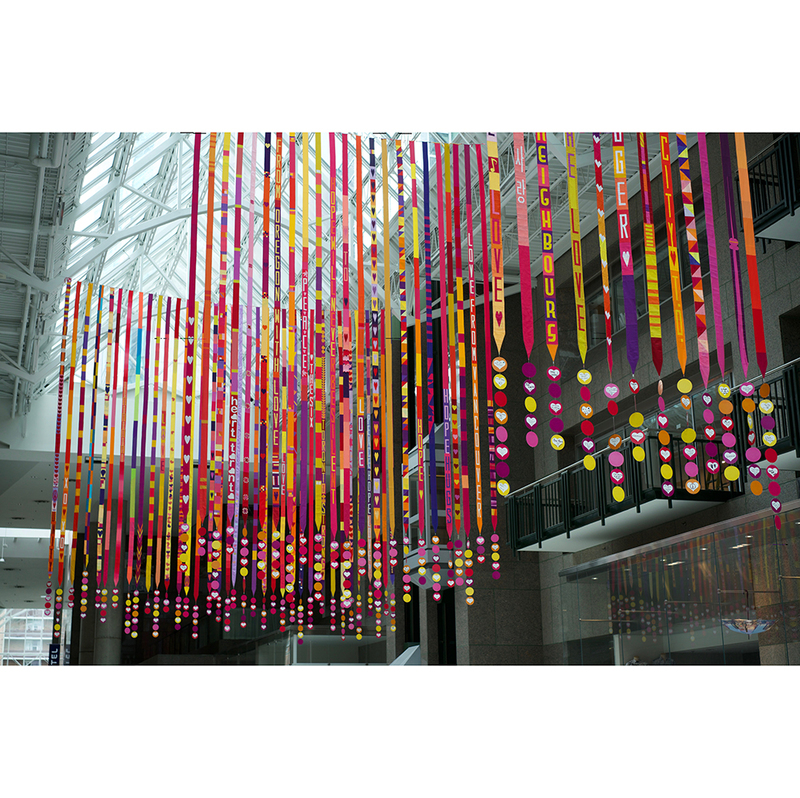 Together we decided on North York Centre as the location for the installation, as it was located centrally in the area where the tragedy occurred, and had lots of natural light. 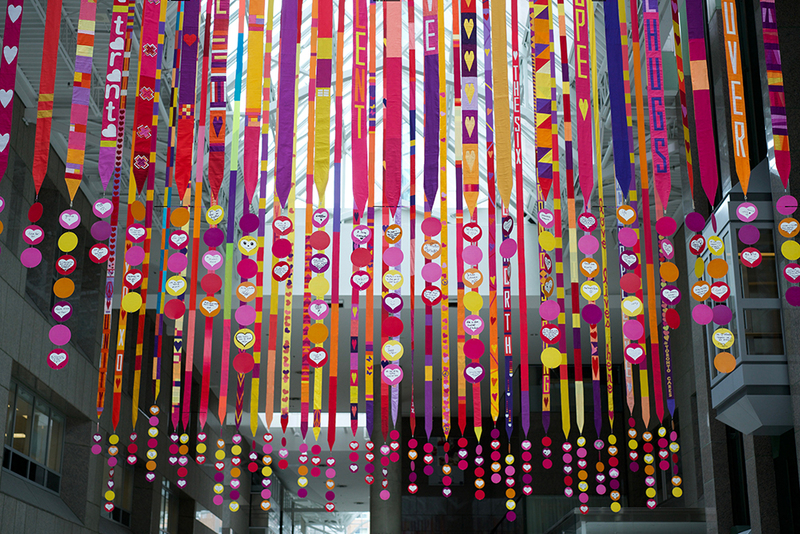 I designed the graphics and banner concept to suit the space, and posted a tutorial online. 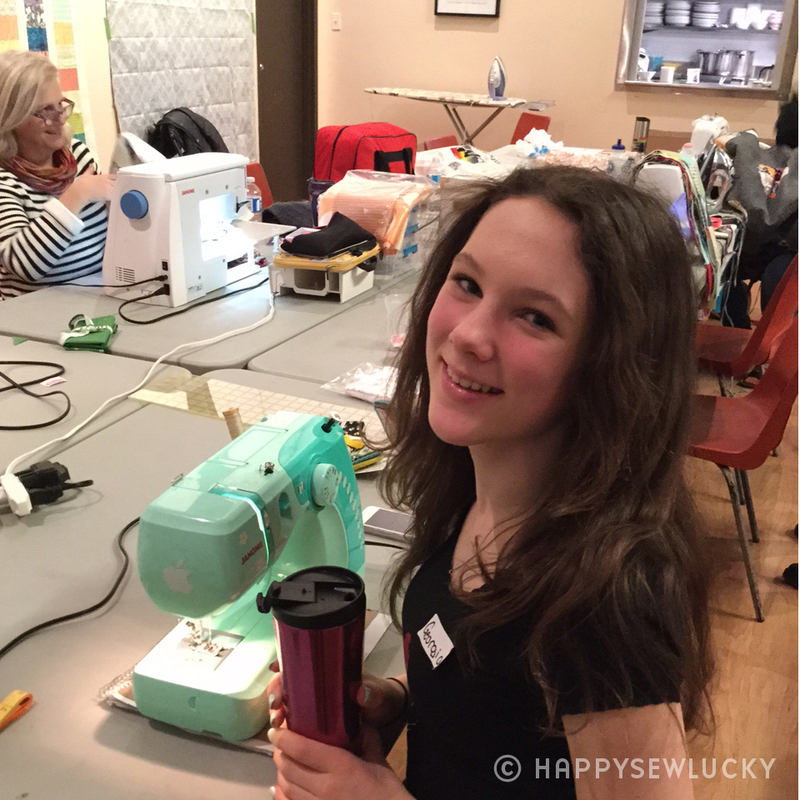 Quilters from across Canada, the USA and one from Australia, sent in their contributions. It was a beautiful show of love and healing hanging in a community that was feeling like their home had been shaken with fear. 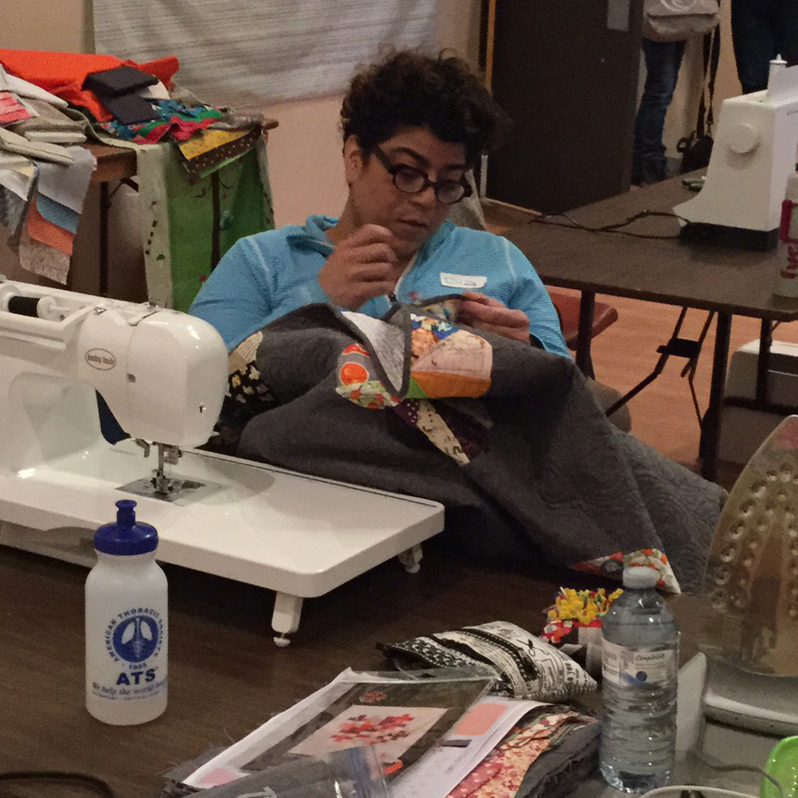 Thank you in particular to Lila Karim of North York Arts, Gabor Szabo, property manager of North York Centre and the quilters who contributed for all your help and support. 2017 was a historical year for women’s rights with the #metoo movement, and the number of women finally taken seriously by employers and the courts. 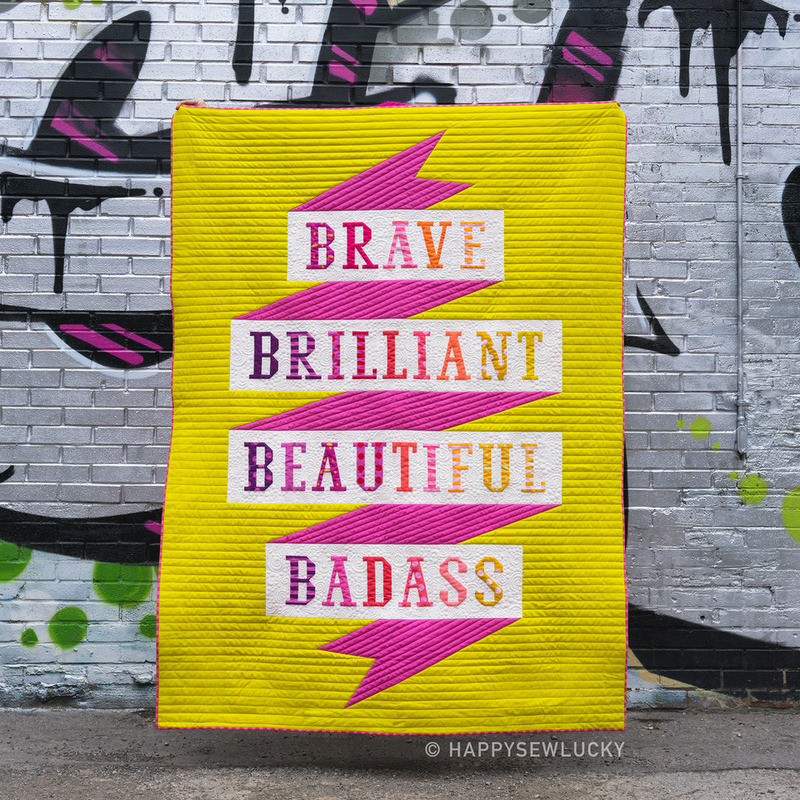 I wanted too design a quilt to celebrate this fact, as well as to celebrate women for their positive attributes. 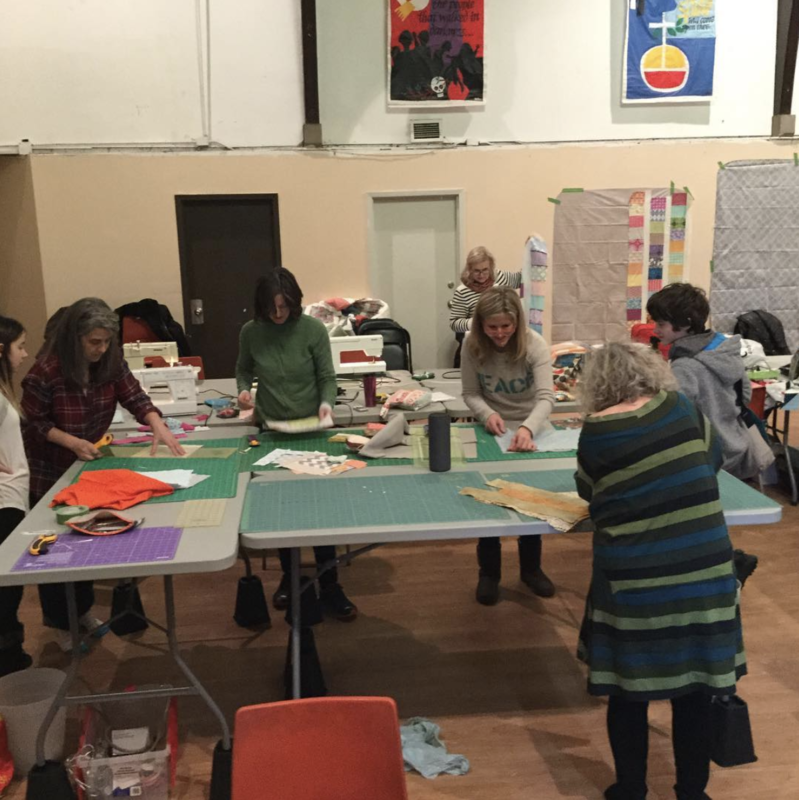 My friend Daryl Aitken of Fabric Spark Quilt Shop and I collaborated to create a kit with a third of the profit going to Woodgreen Foundation’s Homeward Bound programme: a women’s shelter in Toronto that provides and amazing 4-year programme to help single mothers in at-risk situations. They provide housing, counselling, child care, education and job mentorship and have astounding results. 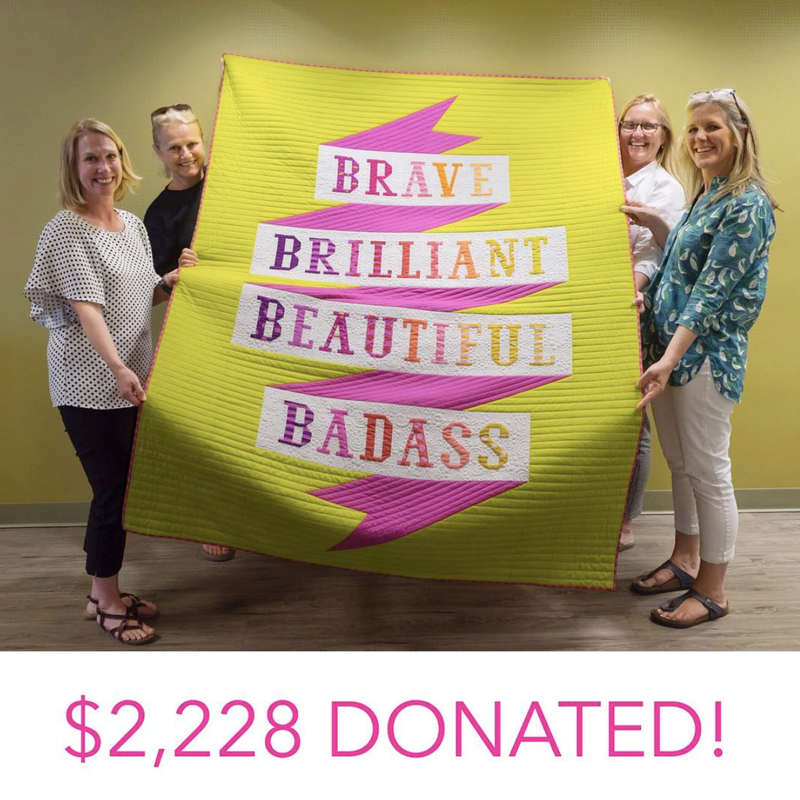 This project results in $2,228 being donated to this cause. Thank you to everyone who bought a kit to support this cause. After unexpectedly having to move to Toronto in 2014, I felt sad and displaced after the loss of my community and friends. However one day while listening to CBC's The Current, I realized that my loss was nothing like that suffered by the tens of thousands of refugees arriving in Canada from Syria. 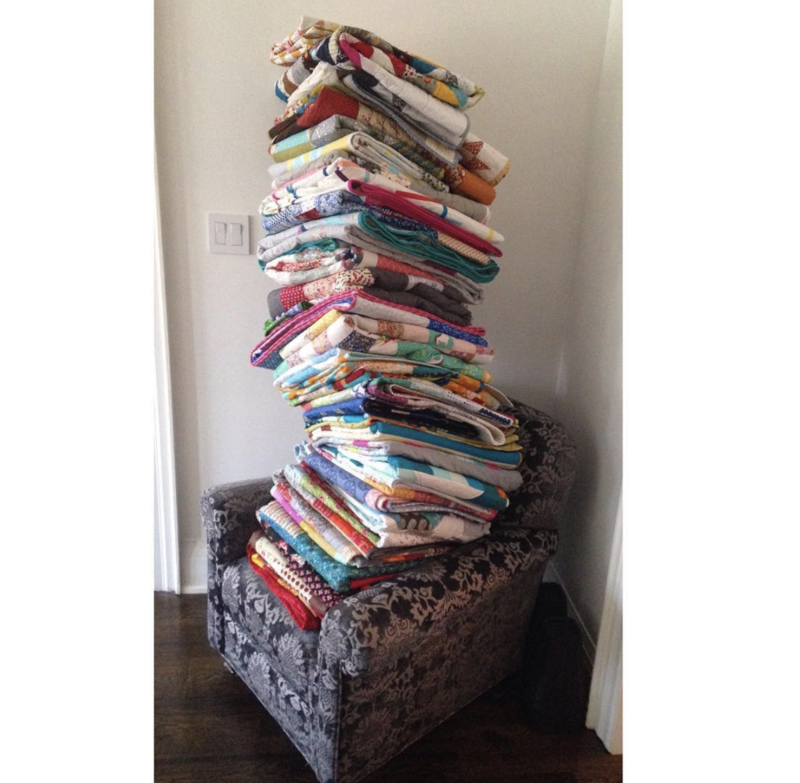 Since these people had lost most of their household goods, including their bedding, and since quilts offer healing as well as warmth, I decided to coordinate a sew-in for quilters to make quilts for these families. 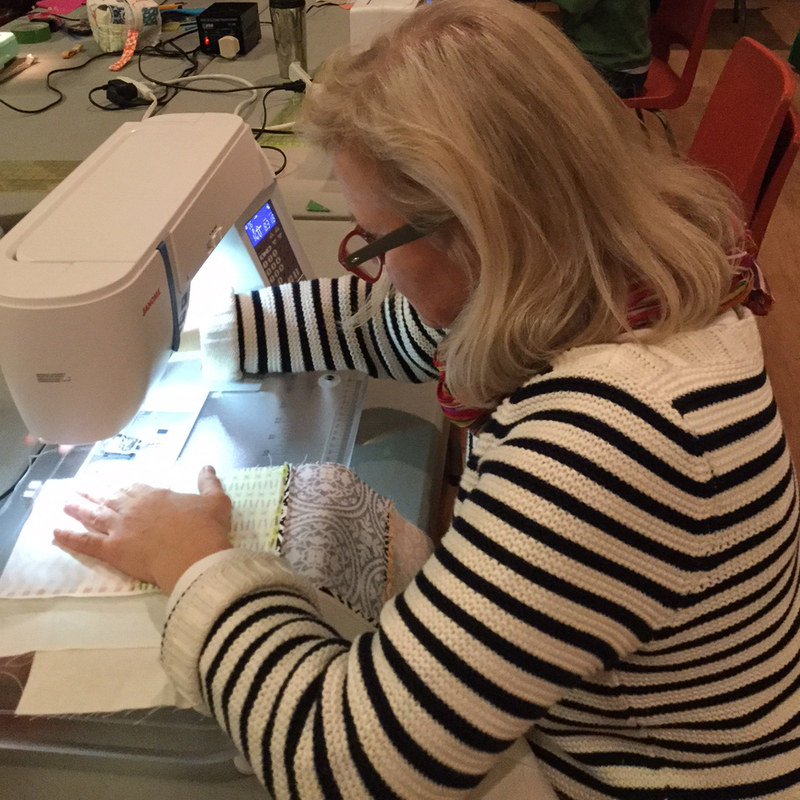 We rented a church hall and quilters came and sewed for the day. More quilts were also donated by mail, including some from the USA where people were feeling unhappy with the lack of support Syrians were getting there. 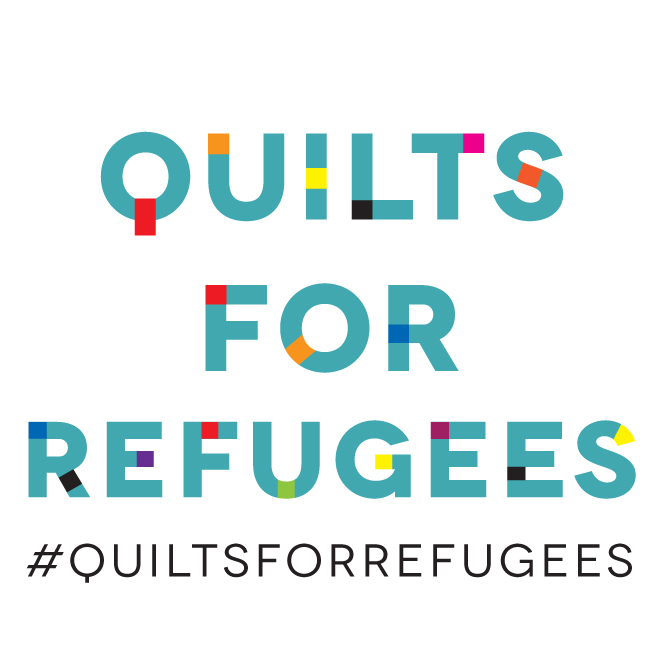 I contacted local refugee organizations Culture Link and Romero House in Toronto to hand over the quilts. They were very well received as bedding was one of the top requests from the refugee communities coming in. 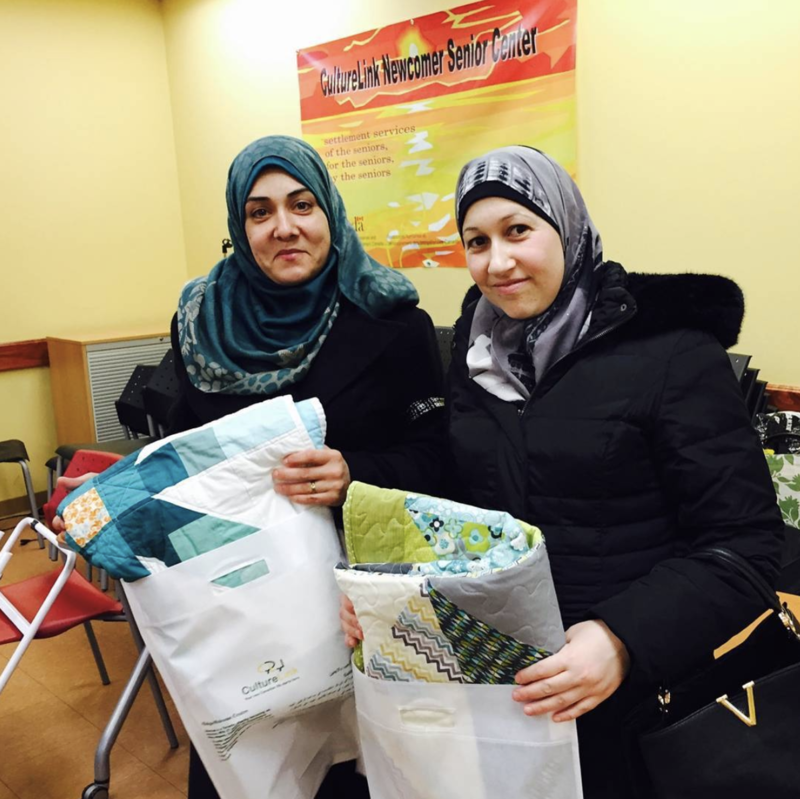 In addition, Culture Link hosted an event for International Women's Day and we gave every woman who attended that day a quilt to take home. One of the ladies there was a quilter back in Syria. 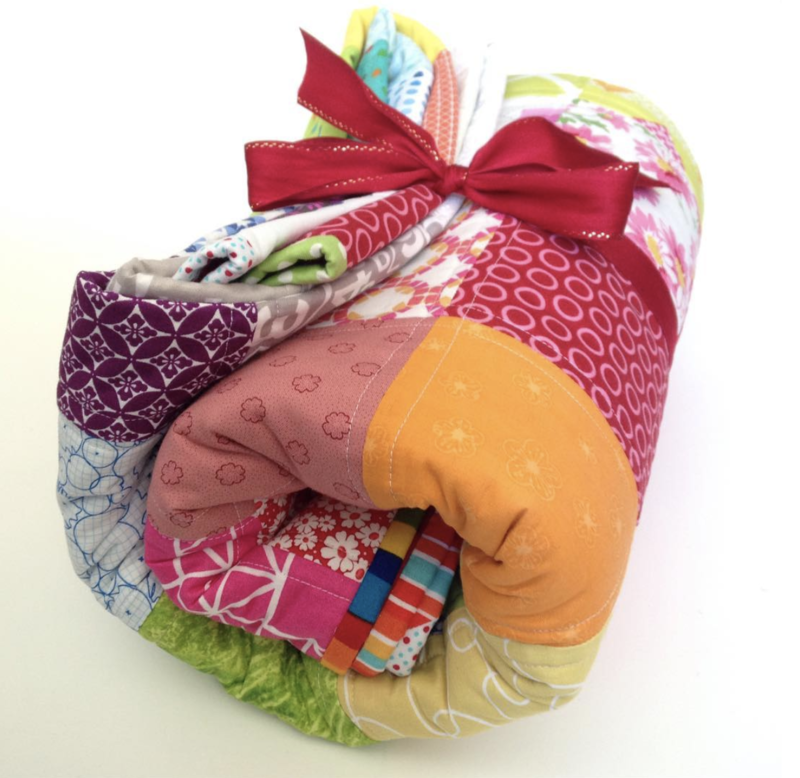 Big tears ran down her face and she explained that she knew what it meant to have had a quilt made just for her. 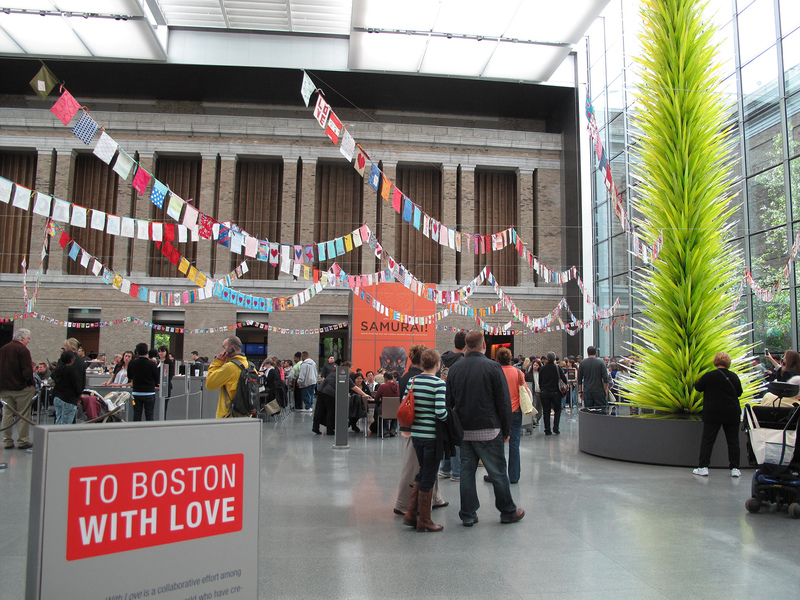 The morning after the 2013 Boston Bombings, I had an idea to initiate a project making peace & love flags to help the people of Boston heal. 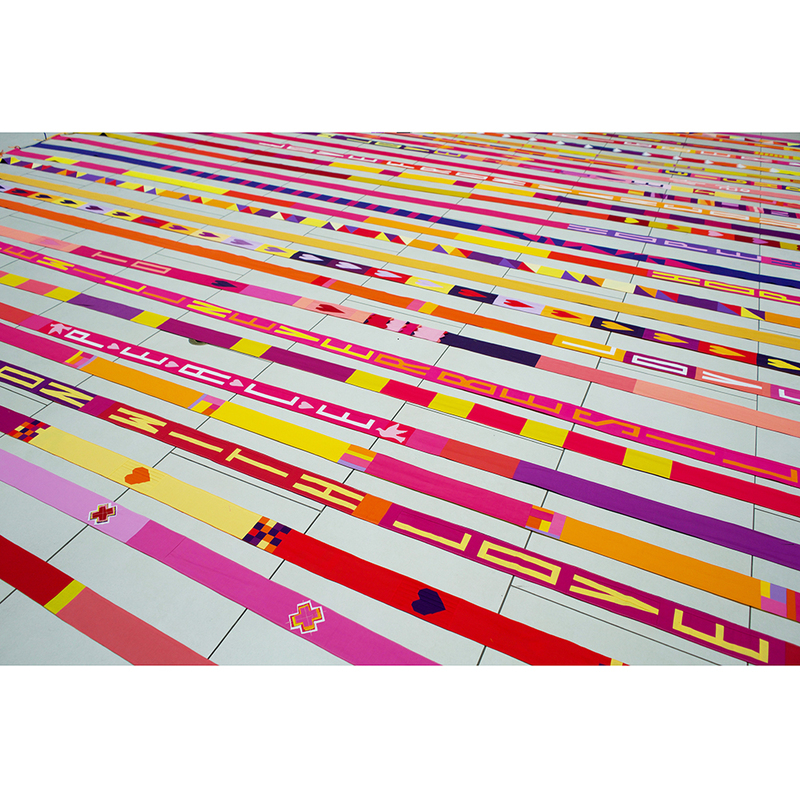 (Read more on my inspiration for this project here.) 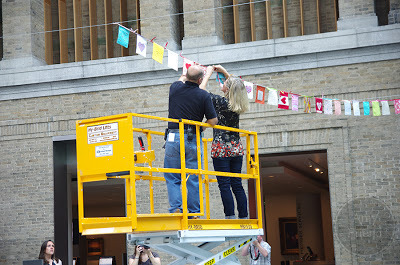 I reached out to Amy Friend, a quilter who lived near Boston, who helped me find a location to hang them and she also kindly agreed to help coordinate the project. 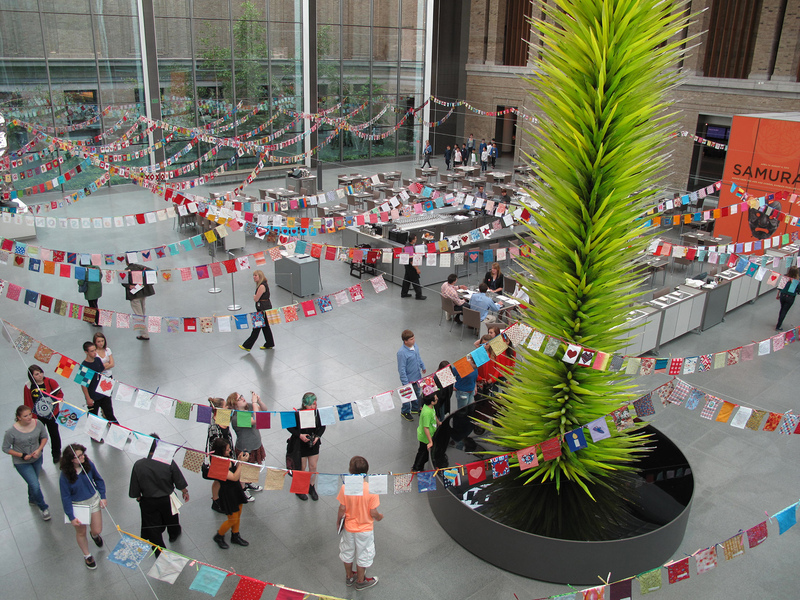 Along with the Vancouver Modern Quilt Guild we rallied quilters worldwide. I made the first flag, wrote a tutorial with the parameters of the project, and posted it online for might be interested. 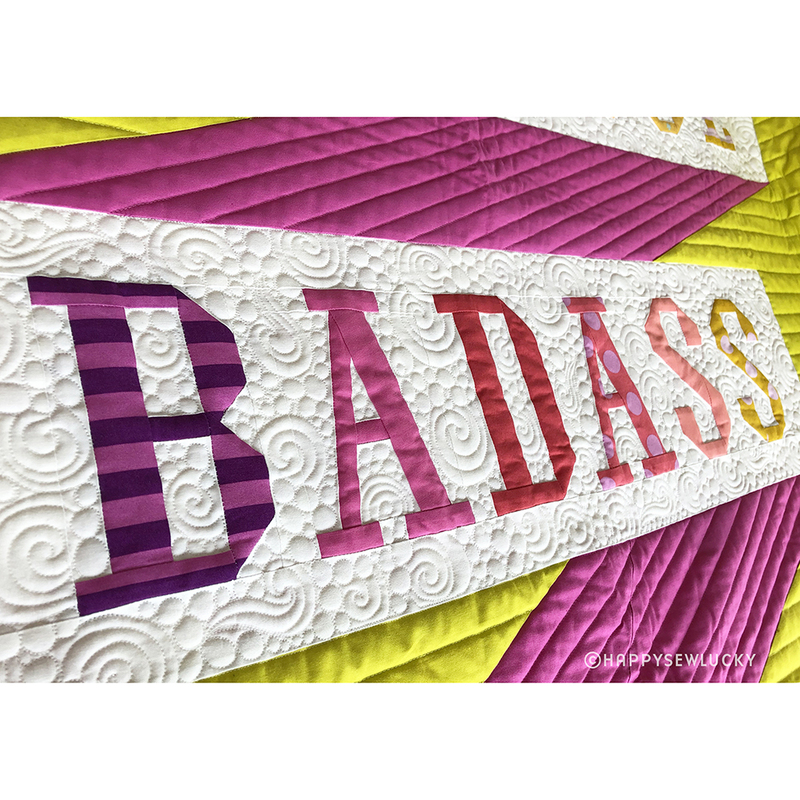 Within 24 hours a quilter in Melbourne, Australia, posted on Instagram that she had already made and mailed her flag, and in the next few days the project went viral across the USA and beyond. Many guilds signed up and got their members to participate. 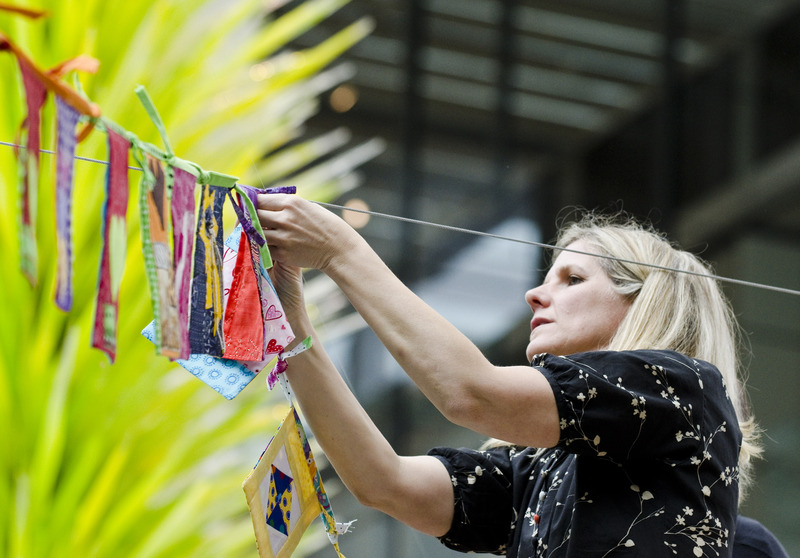 Amazingly within six weeks we received around 1,800 beautifully pieced flags. 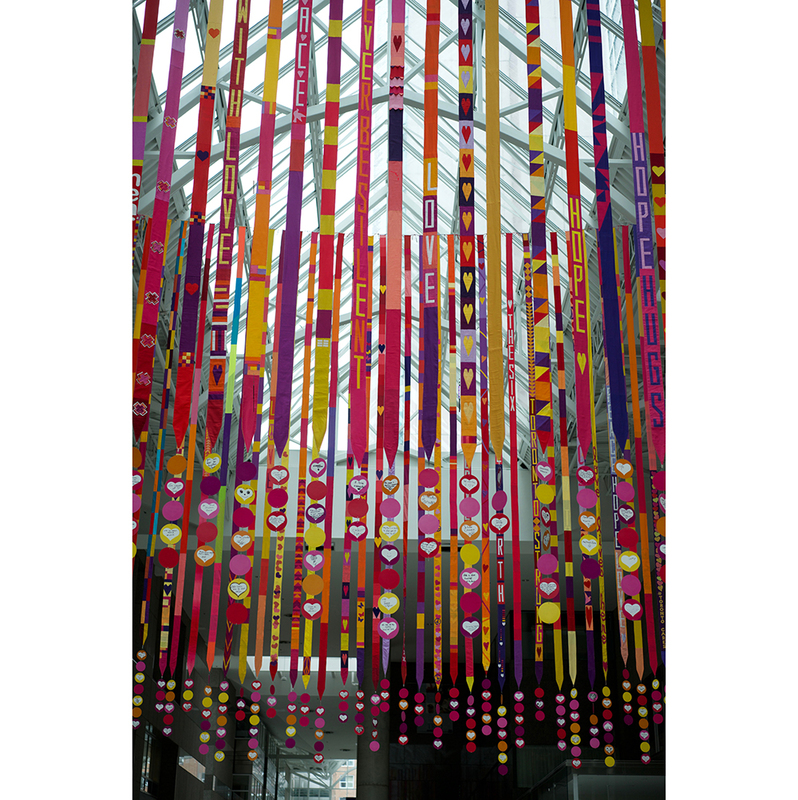 Amy had contacted the MFA (Museum of Fine Arts)and they agreed to hang them for us in the Shapiro Courtyard – a gorgeous 4-story glass atrium filled with natural light, an exquisite space for the project. 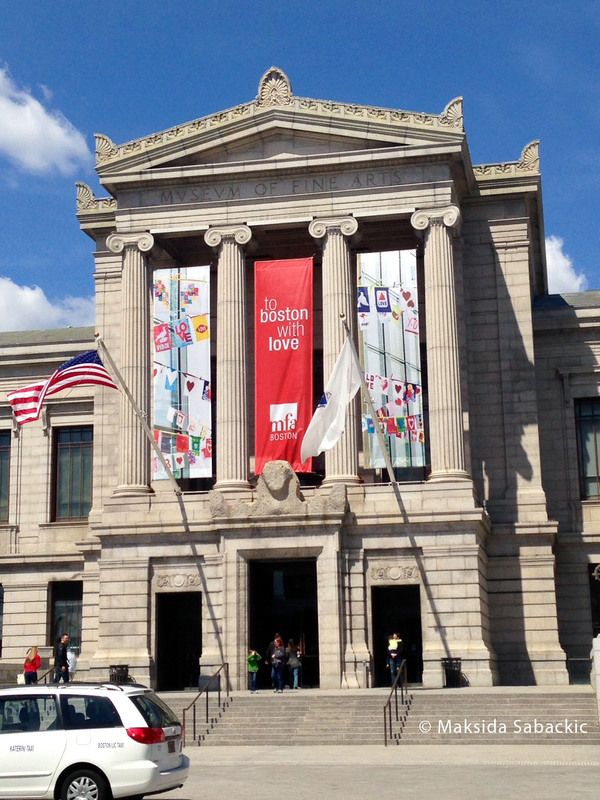 The MFA are now the caretakers of the flags, which were hung again for the one year anniversary of the bombings. 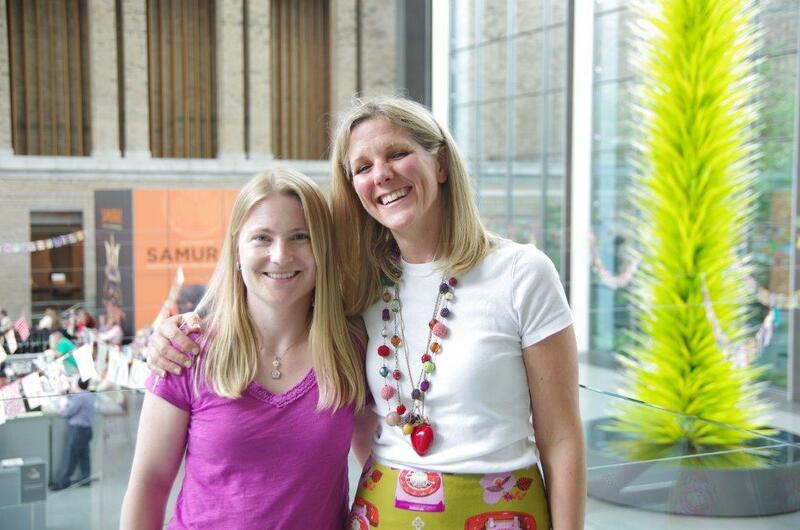 Thanks to Amy Friend, for joining in this undertaking, and to Dawn Griffin, of the MFA for taking a chance on us.